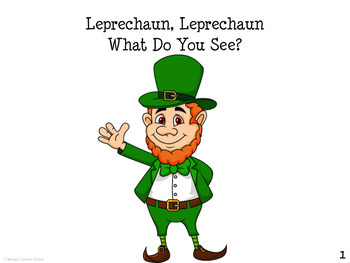 This is a "Leprechaun, Leprechaun What Do You See" book with matching pieces at the end of the story for matching to the correct pictures. 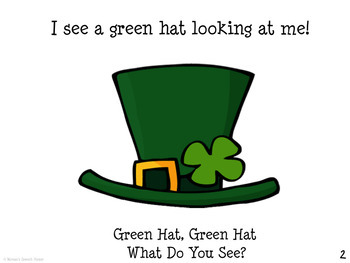 The clipart art is very fun and makes this classic, easy go-to book a fun choice during the holiday. 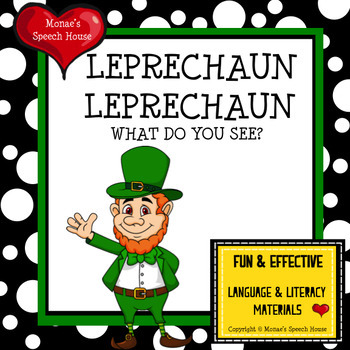 This Super Fun St. Patrick’s Day book will give you and your students lots of opportunities to work on receptive & expressive language skills! The book also includes a Memory/Vocabulary Board. 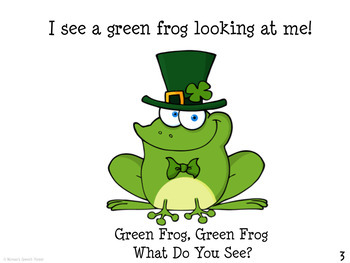 For other fun books and resources for building receptive & expressive language skills please click on this link! Monae’s Books & Resources are Interactive Stories and supplemental activities used for developing and improving receptive and expressive language skills for children with language and/or learning disabilities. Some of the skills these books target are vocabulary development, social skills, and behaviors. You can use this product to develop skills for following directions, matching, making choices, pointing, imitating words, yes/no questions, or answering WH questions. Teachers and Speech-Language Pathologists will find using these stories make teaching these skills fun and easy. And parents/caretakers will love them too!